CrayonFlakes offers this comfortable blue cotton shirt for baby boys that adorns a red bow tie which your kid will love. This button down shirt has long sleeves and a collar which is apt for daily wear. Pair this cool boys wear with little baby shoes for an adorable look. A must have in your little one's wardrobe! Fabric Care: Use Mild Detergent, 30° Machine wash, Cool Iron, Dry flat in shade, Wash, Dry & Iron inside out. CrayonFlakes offers this comfortable blue cotton shirt for baby boys that adorns a red bow tie which your kid will love. This button down shirt has long sleeves and a collar which is apt for daily wear. Pair this cool boys wear with little baby shoes for an adorable look. 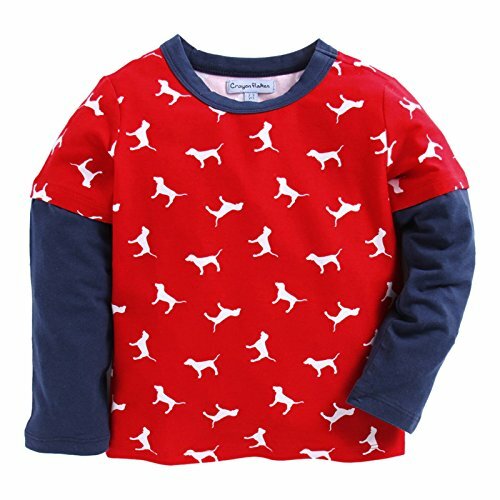 A must have in your little one's wardrobe! Fabric Care: Use Mild Detergent, 30° Machine wash, Cool Iron, Dry flat in shade, Wash, Dry & Iron inside out. If you have any questions about this product by CrayonFlakes, contact us by completing and submitting the form below. If you are looking for a specif part number, please include it with your message.